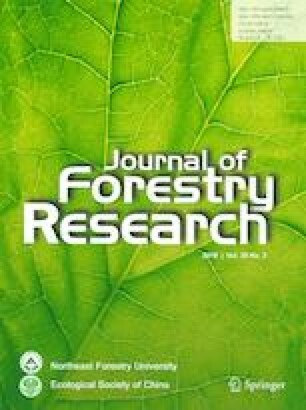 The response of diversity and biomass of herbaceous functional groups along an altitudinal gradient in mountainous forests of southern Zagros, Khuzestan Province, Iran was studied by sampling vegetation in 30 circular 1000-m2 plots in herb layer of the forest floor within 646–2447 m asl (lowland: < 1000 m asl, midland: 1000–2000 m asl, highland: > 2000 m asl). The most important herbaceous functional groups were classified based on two aspects of growth form: annuals–perennials, grasses–forbs. Then the relationship between the diversity, richness, evenness, biomass and elevation was analyzed. The results showed that the annual functional group in the low- and midland classes, and perennial functional group in the lowland class had the highest species diversity and evenness in annual and perennial functional groups, respectively (p < 0.01). The perennials in the highland class had the maximum total, above- and belowground dry biomass (p < 0.01). On the other hand, the forb functional group in the lowland class had the greatest species diversity, richness, and evenness (p < 0.01) and in the highland class had the maximum total dry, above- and belowground dry biomass in the grass and forb functional groups (p < 0.01). Increasing the diversity, richness, and species evenness resulted in a decrease in the plant dry biomass. Project funding: The funding of project is supported by Lorestan University, Iran.